Kit releases, Grab bags and Layouts, oh my!!! Oh yeah, and a FREEBIE! Grab a coffee, I have LOTS to tell you about today!!! Click image for full credits. Denim Cutie is on sale this week only for 20% off. And since you’re going to be picking that up, you can get the Gingerbread Ladies February Mega Collab Mystery Grab Bag for only $1.00 with a $4.00 purchase!!! This kit is huge and very beautiful! Pick up this steal of a deal before the price goes up! Don’t forget, the Gingerscraps party is still going on, check out the forum for daily games and events! Hoo Loves Ya? is on sale for 25% off right now! Image linked for full credits. 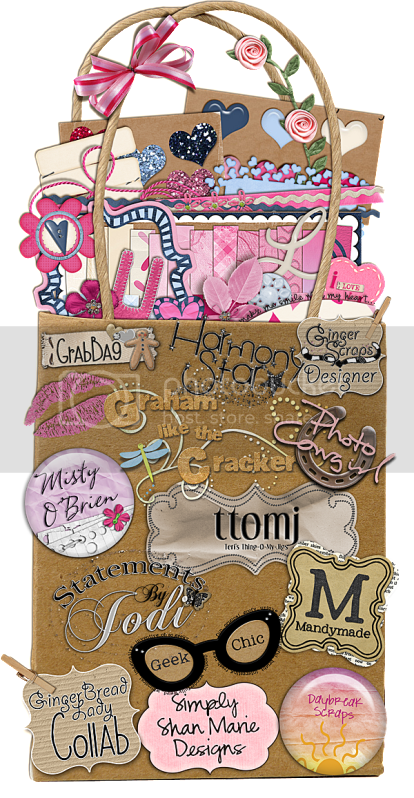 It also feature a lovely and sweet wordart being released this Friday by Elegant Wordart by Bethany. A little “sneak peek” for you! Alrighty, next up we have one from ValerieN Designs, Sour Kisses, available at Gotta Pixel! Sour Kisses is on sale for 20% off right now!!! There is also two coordinating alphas and a glitter pack to match, all also on sale! Click image for full credits. 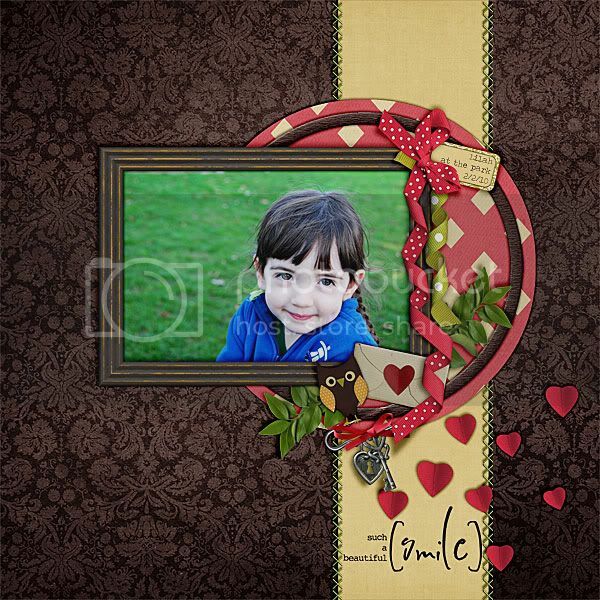 It provides ANOTHER sneak peek of Elegant Wordart by Bethany wordart this week! Man, you guys are LUCKY this week! Available Friday, Feb 5th at Scrap Orchard. Ok last but certainly NOT LEAST! 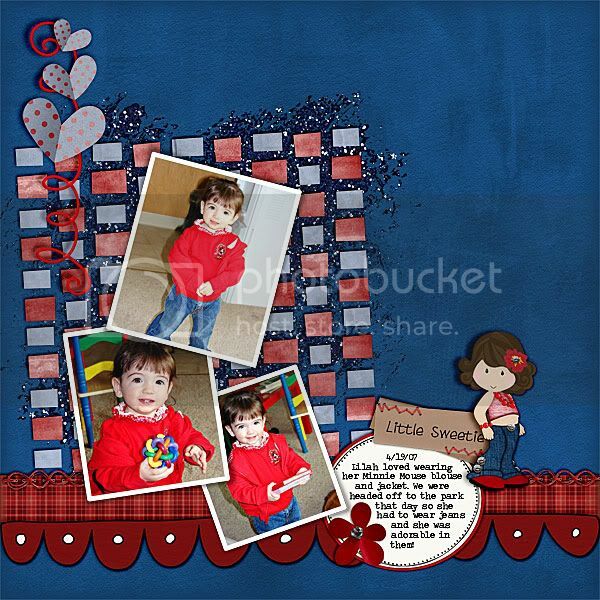 Little Red Scraps and Altered Sea collaborated to produce this lovely and elegant kit called “Mommyhood” this week. If you spend at least $3.00 between the four stores (the three designers that make up Red Genius Enterprises, plus their RGE store) then you get a savings of 25%! Plus if you spend only $1.99, you get the free grab bag below! Click HERE or on the image to download!! Know what ELSE I’m gonna do??? Since you got a sneak peek at Elegant Wordart by Bethany ‘s releases for this week, I’m going to give away to one lucky reader a coupon for a FREE wordart pack from her store!!!!! And come on, who doesn’t love some Bethany goodies?? Just leave a comment on this post and I will be back FRIDAY with the winner when I post Bethany’s new releases for the week!